Believe it or not, the Fourth of July is only a couple of weeks away. This summer is flying by and I can’t believe June is almost over! Since the Fourth is coming up, I thought I would put together a guide to the Chicago area fireworks displays to help you plan for the holiday. Chicago: July 4th at 9:30 PM at Navy Pier, 600 E. Grand Ave.
Downers Grove: July 4th at 9:30 PM at 75th St. and Lemont Rd. 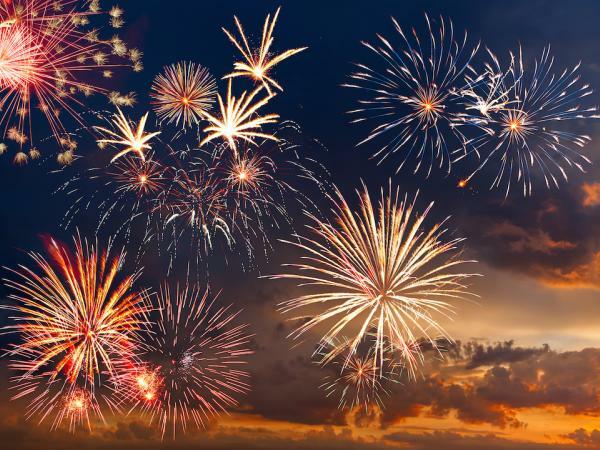 La Grange: July 3rd at 9:30 PM at Waiola Park, along 47th St.
Lisle: July 1-3 at 9:45 PM in Lisle Community Park, 1825 Short St.
Naperville: July 4th at 9:30 PM in Knoch Park, 724 S. West St.
Oak Park: July 4th at Dusk at Oak Park and River Forest High School, along Lake St.
Wheaton: July 3rd at Dusk in Graf Park, 1701 Manchester Rd. Winnetka: July 4th at 9:20 PM at Duke Childs Field, 1321 Willow Rd.